There has been much talk, as of late, about the value of advanced academic coursework in public education. MNPS makes the International Baccalaureate (IB), Cambridge, and Advanced Placement (AP) programs available to kids across the district. This year there was increased access to those programs because MNPS agreed to pay for testing costs associated with them. Last week, results were released for students who participated in the IB program. Some of you may not have known that IB, Cambridge, and AP classes all have fees attached to them, some for every test taken and some just for a student’s senior year. In the past, those fees have impacted access, and only the kids whose families could afford these fees enrolled in the courses. I know, some of you are jumping to the defense here to argue that no child has ever been turned away because of the fees and that schools have always found a way to ensure those kids who wanted to take the classes could take them. Fair enough, but I’ve always wondered about those kids who never made it to the gate because of the specter of cost. To some kids, the fees meant they took the class, but they never took the test. This is a bit of an issue, because without taking the tests, students couldn’t potentially earn the college credits that came with passing the tests. It was argued though, that students’ exposure to the rigor of the coursework was highly beneficial to them even if they never took the tests and earned the credits. Last year, a couple of things transpired on the national, state, and local levels to change the game. On the national level, as part of the newly passed Every Student Succeeds Act (ESSA), districts and schools were given credit towards their evaluation for the number of students enrolled in advanced classes. Thus, an impetus was created to get more students enrolled in advanced classes. On the state level, policy changed on how advanced classes impacted student GPA. Previously if a student enrolled in an advanced academic class, they received points towards their GPA. The state changed that policy to one that states if students don’t take the test, they don’t get points towards their GPA. So in essence, the benefit of just taking the class is now offset by the potential hit, due to engaging in more rigorous coursework, to a student’s GPA. Locally, MNPS Director of Schools Dr. Joseph recognized the inequity created by forcing families to shoulder this financial burden. In response, he declared that for the first year ever, the district would pay for these tests. Make no mistake, this was a huge step towards granting access to all. That cannot be undervalued. I understand that this recap is a very cursory overview of a subject that really needs a book to be fully covered. I spent a lot of time this past year studying our advanced academic programs. They are multi-tiered, complex, and, at times, confusing for stakeholders. It is an area that, for the most part, MNPS is doing really good work. So back to those recently released scores. I noticed that upon release, there was a great celebration of the scores on social media. This made me excited, and I prepared to write a congratulatory story. Then the results were sent to me and I faced a quandary. In what world is a 56% success rate considered celebratory? Surely the number should be much higher in order to indicate success. Individual stories paint an amazing picture. One kid won a full free ride to Belmont. Another received, based on their scores, $30k towards their education at UC Boulder. Still another was awarded $17k in assistance towards her education based on her IB coursework. Let’s be clear as well, a 14% growth rate is nothing to shake a stick at. The advanced academic programs are not perfect. I’ve heard from several parents that navigating the waters can be very treacherous, and I think communication needs to be tailored in a manner that recognizes that it is not just students embarking on this journey for the first time, but families as well. It is disheartening that the only real celebration of these scores comes from individual schools and teachers. MNPS, as a district, has remained strangely quiet. Choosing instead to trumpet MAP scores that don’t hold up under scrutiny. If you’d like to know more about advanced academics, I urge you to call the people over at the AA office. I promise you that you will not find a more transparent and helpful department in all of MNPS, and that’s not a backhanded compliment. They are just good people, doing good work. There are also quality people at each of the individual schools willing to help and inform as well. Take advantage of them. Later in the year, the Cambridge programs results will be released, and I look forward to celebrating them as well. ‘Til then, way to rock it, IB kids! At this week’s MNPS board meeting, a list of 30-something PD consultants was brought before the board on the consent menu to have their contracts extended. The contracts are part of a list of potential vendors for individual schools that have been subjected to the RFP process. I urge you to watch this conversation, as it contains quite a bit of information that may not be generally known. The conversation starts at around the 9-minute mark. The fun starts when board member Amy Frogge asks to pull the contract for TNTP. TNTP was formerly known as the New Teacher Project and was founded in 1997 by Michelle Rhee. Frogge’s opinion was that research has shown that TNTP has not been as effective as it could be. Furthermore, since we have local resources like Peabody College at Vanderbilt University and Lipscomb University, it was her opinion that increased investment with those institutions would pay greater dividends. A reasonable argument. Mary Clark from MNPS’s Federal Programs department reiterates that they are just one entrant on the menu from which schools can choose. They are just one vendor in a group who were selected to be on the menu in 2014 after being put through the RFP process. The contract expires at the end of this month and this was an attempt to keep the menu robust by extending their contract. Upon further prodding, it was revealed that nobody is actually using the program, but since it’s already been through the RFP process, so they want to leave it. Huh? Here is my restaurant analogy. I might have a Spam sandwich on my menu because a couple of years ago I thought people might like it. But that assertion has proven false and nobody ever orders it. Am I just going to continue to leave that sandwich on the menu, or am I going to try to add one people might order? I understand that the analogy isn’t perfect. Keeping an item on a food menu requires having inventory items on hand, and I don’t believe that’s the case with TNTP, but still. Shouldn’t we focus on quality over quantity? If nobody is using it, pull it, replace it. Seems simple. Speering then proceeds to pull 11 individual contracts from the consent menu and ask that we put them on the agenda for a teacher and learning committee to review. Again, a reasonable request. Here’s where things get interesting. The rest of her speech is a lecture to other board members, I’m assuming the brunt being directed at Speering and Frogge, on how the board has done a disservice to the students of Nashville. In her opinion, the board should merely serve as a vehicle to promote the district and raise money. First of all, I don’t understand how a board member whose recent attendance rate at board meetings is of the level of Pinkston’s feels he has room to lecture anyone about failing students. If he were a student, his chronic attendance would qualify him for check and consent status, Secondly, both he, Buggs, and the majority of the board, have the equation flipped. It’s not the questions that cause the distrust of the system; it’s the answers. So instead of continually blindly publicly defending Dr. Joseph, they should start demanding better answers. 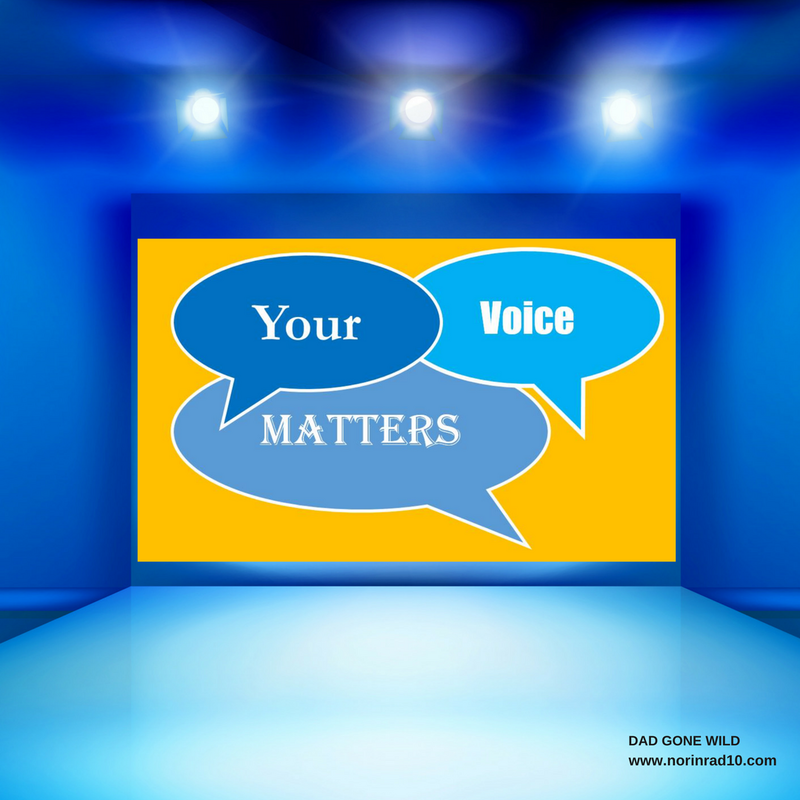 Are we really arrogant enough to think that if board members just remain quiet, and say nothing but positive stuff, the public won’t form their own questions? Without seeing anybody actually raise those questions, and devoid of satisfactory answers from the district, they’ll create their own answers. I can promise you that the majority will default to the negative if left to independently form their own opinions. Transparency doesn’t create distrust; the opposite does. Buggs is right on one thing, though. This board has let the students of Nashville down. They’ve done so by placing the defending of a director above the defending of the quality of education the children of Nashville receive. They’ve chosen to place a higher value on symbolism, as opposed to achievement. They’ve refused to do their job of oversight, and furthermore, by not publicly reassuring the public that they are diligently watching their investment, and ensuring that it’s returning proper dividends, they’ve eroded that trust that would potentially afford greater resources devoted to the district. This concept that people are just going to blindly fund public education devoid of any evidence of return is foolish. If your 14-year-old son walked through your living room wearing expensive sneakers with a comic book tucked into his back pocket slurping on a milkshake and told you that his allowance wasn’t allowing him to meet his needs, would you immediately raise it? Yet that’s the expectation when it comes to the funding of public education. Yes, we should focus on the 7 words Pinkston mentioned. Public schools are chronically underfunded. But part of the problem is that they also chronically fail to convince people that they are being good stewards of current resources. The only way that I persuade anyone to give me more money is if I convince them that I truly need it. Any good salesman will tell you that you can’t sell a product if you don’t 100 percent believe in it. We should be focused on convincing the board members and the community that MNPS and its leadership are good investments. You can’t do that without honesty and transparency. Lose either and you foster distrust. Not all of this lack of trust should be laid at Dr. Joseph’s feet. But the lack of discernible progress in increasing trust the last two years belongs squarely on his shoulders. A year ago, then-STEAM executive director Kris Elliot stood up at a central office meeting and said, “I’m just going to go ahead and talk about the elephant in the room. MNPS suffers from a lack of trust. Nobody trusts anybody.” Within two months of making that statement, Elliot was gone. Failing to face truths does not solve problems. If the MNPS school board is going to do nothing but hire a director and evaluate him once a year, what’s the point of their existence? Why even meet twice a month? Why not just write the evaluations from home and phone them in? They are already overly depending on the data that Dr. Joseph provides them without independent verification. We could save over $100k in salaries and spare us all the drama. That’s the question the state was asking in 2008. Do we want to open the door to that question again? This campaign season, I’ve had people donate $25, $50, $100, $250 to my campaign. I’ve quite honestly been very humbled by these donations. It’s money from people who have many other things they could use it for. If I’m going to take their money, then I think I owe them something other than a “thank you” and a yard sign. At the very least, I owe it to them to do my best to protect their interests. I take that responsibility very seriously and believe others should as well. A lengthy conversation ensues at the board meeting on the topic of approving contracts, one that hopefully I’ll get an opportunity to revisit in the future as MNPS executives David Williams and Tie Hodack raise several salient points and issues. Some of which I think are rather concerning, and I’m grateful that they are attempting to get a handle on these issues. In closing, Dr. Gentry warns that the board is getting into the “sausage making.” I’d argue that not enough of the board members understand how the sausage is made and are voting on policy they have no idea on how it will impact classrooms. This is made evident by the face of surprise Dr. Gentry made upon being informed about the vendor vetting process – akin to the look that Queen Elizabeth likely made on being informed that Columbus had discovered America. Like I said, I’ve got much more to say on this conversation, but if I continue… it’ll be another 3000 words. So I’ll leave it here for right now, but encourage you to watch the video and form your own opinions. As always, I am interested in hearing them. Since I’ve already written too much, I’m going to leave you with just a couple quick hits. Long term MNPS educator Stephen Henry seems to be making great progress on his road to recovery after his arrest for meth. Addiction is a terrible master. Friends have started a GoFundMe account. If you can help, please do so. I don’t know how many of you are paying attention to what’s been transpiring in Prince George’s County Public Schools as of late, but since I’m a firm believer in “you can tell where a man is going by looking at where he has been,” I’ve kept an eye on them. Quick update: Last week the Washington Post did an article on why CEO Kevin Maxwell said he’s leaving, yet he hasn’t left yet. Yesterday it was announced that the board had agreed to an $800k settlement with Maxwell. On top of that, apparently yesterday one of the board members was assaulted by the board chair. I wonder if Anna Shepherd knew this option was open to her? Here’s a side note for you: the chair in PGCPS is a relative of County Executive Rushern Baker III. Joseph brought Baker to an MNPS principal meeting in February where he introduced him and solicited support for him. At last look, none of the MNPS principals voted in the PGC Democratic primary, which unfortunately for him, Baker lost. Is this MNPS’s future? Dr. Monica Goldson will take the temporary role of CEO, the PGCPS Board of Education announced Thursday night. Goldson is the Deputy Superintendent for Teaching and Learning at Prince George’s County Public Schools. County Executive Rushern Baker will appoint the interim CEO “in the very near future,” the school system said in a release. That’s another blog post in the bag. Hope y’all have an awesome weekend. Don’t forget to answer the poll questions. And if you are eligible to vote in District 2, please get out and vote. If you need to contact me, you can do so at Norinrad10@yahoo.com. I’m always looking for more opinions and will try to promote as many of the events that you send me as possible, but I do apologize in advance if I fall short and don’t get them all out there. Whew. Yeah, the contracts thang was whack. On the one hand, Gentry is correct that it’s a CONSENT AGENDA and it shouldn’t take a bleeping day to get through that- if stuff needs to be brought up elsewhere then fine. But she tries to have it both ways and not only puts back the contracts but kills the future committee meeting. Dang, gurl. To me that wasn’t right, but context is everything and the context is that Williams had already sought to reduce the flexibility of principals for PD and intervention selections from a free-for-all of unresearched nonsense down to a menu that fits on one page. Now, I have serious, serious doubts about the district’s ability to hold principals to a reduced slate of that nature in the near term. It also calls into question whether the administration wants principals to be able to take risks with high potential payoffs or not. No finesse points on this one for the administrative team, sorry. Chalk it up as two steps forward for actually trying to tie the renewal list to research validity and chalk one step back for allowing things we aren’t using to stay on the list just coz they were there 4 years ago. Ahem, that does not sound like an awesome vetting process. So yeah it IS the role of the board to give consideration to the process behind extending contracts. Once again, the lack of time before a decision needs to be made means that nothing changes. Cue iPads. Cue 8-1 vote. Cue pained look on Frogge’s face. I am, though, still completely confused about one thing. The speakers on video say that this consent agenda is not for approving more funds, just for approving potential vendors from which a principal can chose. When I read the long version of the agenda and went down to each item, there were dollar amounts listed there. Who’s on first? Every last new dollar as far as the eye can see into the future will be for charters. 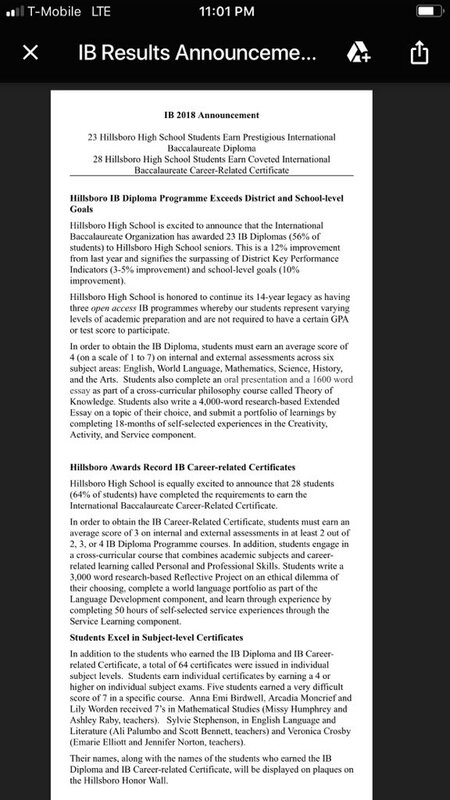 re The difference between taking a boatload of AP classes (including the AP exams), and earning an IB diploma, my understanding is that holding the IB diploma is significantly more challenging, and those who earn it should be recognized and celebrated by central office, from the top. Having taught AP, and having kids who took lots of AP classes, one of the real problems is that central office sabotages what is required for academic success in those classes, by bad policy. The real proof in the puddin is whether AP pass rates increased. That’s the lion’s share of college cred enrollment. I didn’t know the federal formula gives credit for increased APs. Learn something every day.